Streamline daily housekeeping activities and reap double digit improvements in staff productivity, higher guest satisfaction and a massive reduction in the hotel’s carbon footprint. KNOW Housekeeping streamlines daily housekeeping activities resulting in double digit improvements in staff productivity, higher guest satisfaction and a massive reduction in the hotel’s carbon footprint. It receives data from and updates the PMS, real time, and is complemented by powerful Android and iOS apps. Housekeeping is great, our clients do! We believe that the real value of any solution or service is best communicated through the customer experience. 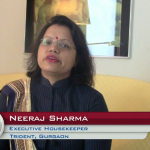 We travelled the globe to meet our clients and asked them to share their KNOW Housekeeping experiences with you. 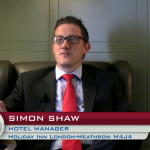 Knowcross is a global leader in hotel management software. Knowcross specializes in hotel housekeeping software, hotel maintenance software, hotel service management, and hotel issue handling.